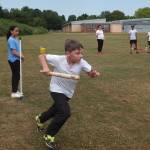 The last focus festival for The Cooper School was Diamond Cricket. 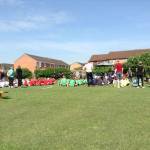 There was a total of 5 schools attending; Fringford, Glory Farm, Finmere, Charlton-on-Otmoor and Launton. 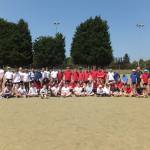 Year 7 Sports Leaders buddy up with Year 6s As part of their transition, 37 Y6s from Dashwood, Queensway, The Grange, Harriers, Hillview and St.
On Wednesday, 13 June 7 primary schools headed for The Cooper School athletics track to compete in the YR 3 & 4 and Yr 5 & 6 Quadkids competition.